We run our real estate business as if every client were a member of our own family. We take pride in looking out for the best interests of our clients at all times. We do our best to provide the service that we would expect to receive as if we were the client. We are honest, positive, goal-oriented, & energetic in all our endeavors. We believe that buying or selling your home is one of the more important transactions in your life. We want all our clients to feel comfortable working with us throughout the process. We value the trust of our clients. We look forward to meeting you and your family to help you in some of the most important decisions in your life. We cannot wait to be a part of it! "“I took a very long time, almost 9 months, to find the perfect home for me. Janie Hickle was my realtor and she made the journey less stressful. Janie was a great listener, asked appropriate questions and understood my wants and needs. She has a thorough understanding of the local housing market and matched my needs with homes in the market. Janie is professional, has a great attitude and work ethic. She is always on time, flexible (we would meet at 7pm because that is what worked with my schedule), honest, and has high ethical standards. Janie always made me feel like I was her top priority and stayed in contact with me and kept me informed. As a first time home buyer she patiently navigated me through the entire process. Without a doubt, I highly recommend Janie as the agent who navigates you through your home buying experience.” -K. Brown "
"Janie made helpful suggestions on her very first walk through and continued helping throughout the process. She responded to texts, emails, and phone calls promptly and was always a source of expertise I could rely upon." "We worked with Becky in the Christina Bailey group and I would definitely recommend her (and the entire group) to friends. She was friendly and knowledgeable, and when it came time to make tough negotiating decisions she gave us great advice. She got us the house we wanted at the price we wanted to pay."" "Liz did an excellent job! She kept things stress free and easy. Liz had great availability and advice. We couldn’t have been happier. Palmyra PA "
"Liz s work speaks volumes of the kind of woman she is—-efficient, organized and result-oriented Camp Hill, PA "
"I can’t say enough good things about Miss Liz. She was an amazing realtor, and helped us find our first home! She was knowledgeable, friendly, and very accommodating. If you’re looking for a reliable realtor, Liz is your person! She genuinely cares! ?? " "We worked with Janie Hickle in our search for a new home. She was very knowledgeable about the home buying process and was able to answer any questions we had. We received excellent service the entire time. Janie was very pleasant to work with! 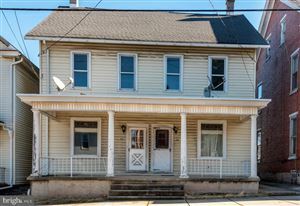 "rwreider54, Hummelstown, PA "
"My wife and I took a very long time, close to 6 months, to find the right house for us but our realtor Nicki stuck with us and didn't give up. We eventually found a great home that we love. From when we saw the house to closing was less than 2 months. Even though it was a VERY fast closing we were explained everything in detail and they answered all of our questions. We had many late phone calls (6-7pm) that worked with our schedule to talk over the process and answer any questions that we had. We highly recommend the Christina Bailey Group to others looking for a not just a house but a home." "Rebecca Bowman and Christina Bailey were professional, knowledgeable (answered any questions I had) and very easy to talk to. Appointments were kept and messages were returned promptly. They practically hold your hand (which I sometimes needed) while walking you through the home buying process. I would definitely recommend this group to anyone shopping for a realtor." ""We had the privilege of working with Christina both when choosing a home in 2011 and again, when selling our home, in July of 2018. We were so impressed with the job she did to help us get our first home. There was no question we would contact her when we decided to sell, prior to transferring out of the state. Though the listing, selling and closing of our home had to take place with us out of the state, Christina allowed the process to be seamless and virtually stress free. The burden of conducting business while being 700 miles away was greatly reduced because of Christina's promptness and professionalism. Without a doubt, we would recommend Christina as the agent to assist you in your home buying or selling experience." 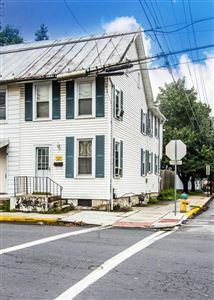 Red Lion PA "
"Christina and her group were a pleasure to work with in both finding a new home and selling our former home. Janie Hickle our agent was particularly exceptional to work with; never failing to answer a text, email or phone call no matter time of day"
"Our Real Estate Agent was top notch. She was very knowledgeable and informative. Responded quickly to and answered questions regarding the selling process. She did not have an uppity attitude, rather was very common and down to earth and to our level." "I've heard horror stories about Realtors in the past and was referred to Rob Everly by a friend and I'm glad I took his advice. Rob is knowledgeable and professional and still a down to earth guy. If you can't get along with Rob then you have problems. Not to mention how outgoing he is. For instance, we were an hour away looking at a house til 9pm.......good luck finding anybody else that's gonna do that. And the way Christina Bailey can overcome obstacles.......let's just say she could probably move mountains if she wanted too. Highly highly highly recommend them. " "Abby was Great. She helped every step of the way. Always answered my calls and Text messages promptly. very knowledgeable with all the locations we went to see. I definitely look forward to working with her in the near future"
"Ms. Bailey was professional and extremely responsive. She is very knowledgeable about the area and quickly figured out what we were looking for in terms of a home. We highly recommend her!"" "I worked with Jason Stutenroth from this group. He actually contacted me when he saw a hand-written "for sale" sign on a property I owned with my mother. Sadly, she'd passed and I finally was able to deal with the last of her estate, which included the sale of the property. We met; he impressed me with his knowledge of real estate and what was best for me. I couldn't have asked for better help as I traveled a path I'd never been on before! Wow! Everyone was helpful and considerate. The sale of the property and the settlement went off without a hitch! This is an excellent group and I would definitely use them in the future and I would highly recommend them to others. Thank you!!" "Janie was always quick to respond to my calls. She often went above and beyond to make appointments convenient for me. Janie was very easy to talk to and always kind and considerate. This was a tough transition and she was a person I could trust to look out for my best interest." "Since this is my first experience at buying I have nothing to compare it to. But the Christina Bailey Group was exceptional. Very professional but also down to earth. Christina kept me up to date on everything and sent me everything I needed. Janie was an exceptional realtor. Very nice and personable. And very helpful!" "Nicki is a very nice, professional, and knowledgeable agent to work with. Not to mention very fun. I'd recommend her to anyone, and I would certainly use her as my buying agent in the future if need be." "Christina is very knowledge about the market and negotiated a higher offer price from the initial offer. She was very responsive to my questions and responded back almost immediately. My house was under contract within a week!" "Since this is my first experience at buying I have nothing to compare it to. But the Christina Bailey Group was exceptional. Very professional but also down to earth. Christina kept me up to date on everything and sent me everything I needed. Janie was an exceptional realtor. Very nice and personable. And very helpful! " "Ms. Bailey was professional and extremely responsive. She is very knowledgeable about the area and quickly figured out what we were looking for in terms of a home. We highly recommend her!" "I was in the market looking for a house with no knowledge about the home buying process at all, that’s when l found Liz from the Christina bailey group she walked me through the process in just one single call that’s when decided to go with them because l noticed Liz is a pro in the real estate business. When people want to buy a house you gotta be careful and having a pro agent on your corner is vital Liz is a pro, l highly recommend her to anyone trying to buy house. My dad has a lot of real estate and he always says that when getting house you need a pro on your corner not a monkey who just got a license just saying. Liz knows what she is doing my wife and l loved the process of getting out house through the Christina bailey group because of the hard work that Liz put in. Definitely will use their services for our next investment property in the years to come"
"The Christina Bailey Group went above and beyond in selling our house and buying a new one. Her group took an entire day to stage our house to the best selling advantage. No question from us was considered trivial, and they were very respectful and responsive in all our dealings with them. Our agent was Janie Hickle, and we can't say enough wonderful things about her. She made herself available morning, noon, and evening. She was extremely considerate, resourceful, courteous, and responsive. We would recommend the Christina Bailey Group to anyone wishing to sell or purchase a home"
"I found the home of my dreams but knew there would be stiff competition to get it. Christina Bailey brought an entire of team of knowledgeable, professionals to help me succeed. Their excellent advice and the speed at which they were able to get my offer in was critical in my success to secure the contract. After that they walked me through every step and every form until closing. My case was complicated. They were available 24/7 and often contacted me (email/text/phone) to remind me of deadlines. They always made me feel like my case was special, like I was not just another client. I am now in my new home and could not have done it with out them! Wholeheartedly recommended"
"Christina was absolutely amazing. She went above and beyond so that my husband and I could get the house of our dreams. Let's just say that the process got "messier" than expected and each time we got in touch she had already called 5 different people and handled everything. As first time home buyers, she walked us through each step of the process and truly made it as easy as possible. I will be recommending her to anyone I possibly can! Thank you"
"Point A to Point B once I found the property. Pretty much found what I was looking for in a price range that I needed. We looked at a lot of property before finding the place I purchased"
"Christina was incredible and helped us buy our home from a distance. As a military family, Christina helped us through the entire process, from virtual phone tours over Skype, uploading videos to YouTube for my deployed husband to watch, and setting up visits for our not-so-local family members. She always responded immediately to our questions and kept us informed. We really felt Christina went above and beyond when it came to the negotiation process. She let us know our rights, gave us good advice, and even helped us negotiate additional money at settlement. When there were unforeseen problems in the final inspection, she went the extra mile to make sure things were taken care of and that we were satisfied. She worked with us to help a very unusual settlement go as smoothly as possible. We were impressed with her professionalism, knowledge, and willingness to help the client. I would HIGHLY recommend her to anyone, "
"Janie is an excellent realtor. Her work with us, as buyers, was exactly what we needed and were looking for. She was very informative and full of knowledge on the area. She was upfront and honest with us. When we asked questions, Janie responded promptly and gave very helpful information. Janie also has a great personality. She was fun to search for houses with and worked well with us to find the perfect fit for us. I highly recommend Janie for anyone looking for a quality home and a positive experience during the search! " "We worked with Rob to both sell our home and purchase a new one. His service, dedication, and personal attention has been unmatched and unrivaled to any real estate experience I’ve ever had. This experience has been very nerve wracking, and he has worked diligently to quell every concern I’ve had along the way. I would not hesitate to recommend Rob Everly for any and all of your real estate needs"
"We enjoyed working with Heather Burns! She was always very flexible with times for meetings/showings which was great with our work schedules. Heather was organized, friendly, and knowledgeable. We wouldn't have our first home without her"
"The professionals that I worked with at Christina Bailey group were very helpful and thorough. I was impressed with Liz Clark the young lady that i worked with. The information that she provided in helping me find a home was very pertinent. I would recommend if you are searching for a home or selling to use the Christina Bailey group!" "First time home buyer and they made it a breeze! Did everything she could to make it easy and pain free! She was very helpful and I would recommend Christina Bailey & Liz Clark to anyone!" "Christina Bailey was great to work with she help me with buying my first house and she made sure everything went smooth. I would recommend her to help you find your home"
"Thank you! We are so thankful that Abby was available to list our home in Harrisburg. She was our agent when we bought it and did a great job, then! Abby really has gone above and beyond with this listing. We called her from out of state, Kevin from Arkansas and myself from Tennessee. We made a key available to her and she installed a lock box the very next day. She advised us that by using a professional photographer how much better the listing would appeal to potential buyers. She was spot on! I made a joke to her that I would even buy our house! Abby even went the extra mile and tidied up a bit of our clutter so that it looks even better! We couldn’t be happier with our choice! Thank you! " "The Christina Baily Group was amazing! They helped us sell our house in a couple of months, where the previous realtor group couldn't sell in 2 years! They also helped us to find the house of our dreams. I would highly recommend this group!" "Rebecca was a pleasure to work with. Even though she is just getting started in real estate she handled everything professionally and like she has been in the field for years! From listing to staging to the final sale everything was a breeze. Throughout the sale she was there every step of the way and went above and beyond expectations. She secured a buyer just when we were about to give up. " "Liz was unbelievably patient with me during my home search..She was always available morning noon or night to answer any and all concerns! I highly recommend Liz! What ever your looking for, Liz will deliver!" "Liz was AWESOME! The part I like the most is that she has become a friend of ours after we bought the house. The whole process was fairly painless which I thought was shocking being that buying a house is such a huge event. I think it’s because Liz and the CB crew are just there for you and really guide you all the way through the process. Anyone considering buying a home in the area should contact Liz and the CB crew, I’m glad my wife and I did. You rock Liz!" "In today's world everyone wants the one stop shop where you can get everything you need. So when it comes to Real Estate why not expect the same. Christina is a wealth of knowledge and the point of contact for everything from Lenders to Cleaners, Inspectors, Etc. If she doesn't do it herself she knows the best person in town that does and for a reasonable rate. She not only managed selling our home for top dollar but then assisted us in buying a home outside of her typical area. She was willing to drive over 2 hrs. to show us homes and to represent us. She is truly dedicated to her craft. Rest assured when your in her hands that she will be there working for you. I look forward to working with her again when we are ready to find our retirement home. Thanks for everything CB"
"Liz were amazing with all my questions and headaches because becoming a first time homeowner was not an easy task especially when your doing it on your own. Liz was there to guide me every step of the way even when I was wanting to quit a couple times through the process ?? Thanks for all your help and really appreciate everything you did for me to keep me sane. " "Rob was great to deal with. We were going to wait to see the house we bought because it was in Red Lion and the others were around the Lewisberry area. Rob said "don't wait we'll go down" and he was right, there was already a bid on the house and we beat it, the rest is history. He won't steer you wrong." "I would strongly recommend Abbie. It was such a great pleasure working with her, was very informative on target and helpful. This is my second home and she made it so much fun. I can guarantee she will go the extra mile to help you and your family needs. Thanks so much for a great experience and helping us find our home. " "I was very satisfied with how things went in selling my property. Christina and Nicki provided very good communication, and were gracious enough to let me vent a few times; I realize that the problems we encountered were not your fault. Thanks for everything you did on my behalf"
"Nicki was amazing!!! I have never had a realtor go above and beyond like she did. She was honest, knowledgeable, helpful, patient, understand and most of all she treated us like family, not clients. We love her! We recommend all of our friends/family to her. Thank you Nicki!" "Nicki is absolutely THE BEST. Sadly our buying experience started off poorly. Then a friend of mine recommended Nicki. We thought hey why not we'll give this one more go. We contacted her and told her what we were looking for and she truly heard us. She got back to us with homes that were exactly what we asked for! We called her about our favorite one right away! She went an hour out of her way on a Sunday night to show us the house!! Not many agents would do something like that. She was very friendly and sweet and made the buying process so easy. I highly recommend her. We love you Nicki! We are still so in love with our home! It's everything we dreamed of." "We love Nicki! She made finding the perfect home a delightful adventure. She really listened to our needs and dreams and she never grew impatient with us. We even invited Nicki to our house warming party so she could see the home she helped make possible. I would recommend her to anyone looking for their forever home and not just a house." "Nicki is amazing! She was patient with my husband and I and really listened to what we wanted in a house. Nicki was always very responsive and got back to us quickly. She is very flexible and willing to work her schedule around you and will work hard to get you into showings, even if it is last minute! I have recommended Nicki to multiple family members and friends and will definitely work with her in the future!" "Nicki is simply the best! When we were going through our buying process, she was my go to gal. If you have any questions or concerns she is quick to answer or find an answer for you. I don't know what I would have done without her!"